I like to assume that all grandma cook and bake very well. hmmm... My grandma did. I'm sorry that my grandma is not Paul... LOL! I guess that the name, Paul refer to Paula Deen's grandmother. This must be another Paula's relatives that bake very well as this recipe originates from here at Paula Deen.com or Food Network, with many positive reviews and mostly 5 stars ratings. Baking these cookies is using the same concept as baking milk crumbs for a chocolate cake at my previous post. After baking both, I begin to appreciate this new way of baking buttery crumbly treats using low temperature like 100 to 120°C and baking in an extended period of time. I like to say that baking in such conditions is essentially like slow baking... It is like infusing butter fully into the floury mixture and creating nice sandy and melting texture in the baked goods without over-cooking them. With no doubt, butter is the star ingredient in this bake. I have used just 4 ingredients to make these melt-in-the-mouth cookies. 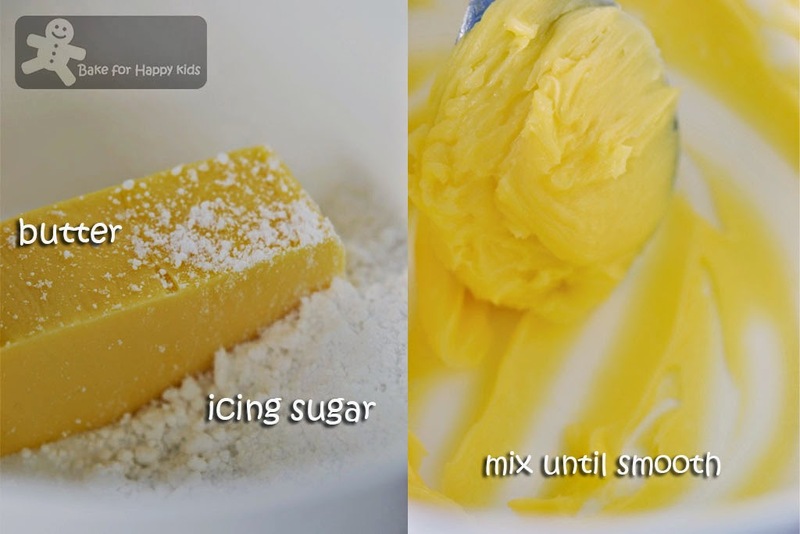 The butter has fully infused into the rest of the ingredients creating a nice, sandy melting texture! These cookies literally melt into my mouth with sweet milky taste and soft nutty texture... Simply irresistible! Have I can fully express my satisfaction with these sandy cookies? LOL! 30g almond meal for extra sandy texture. Preheat oven to 270°F / 130°C / 110°C fan forced. Line baking tray with baking paper. 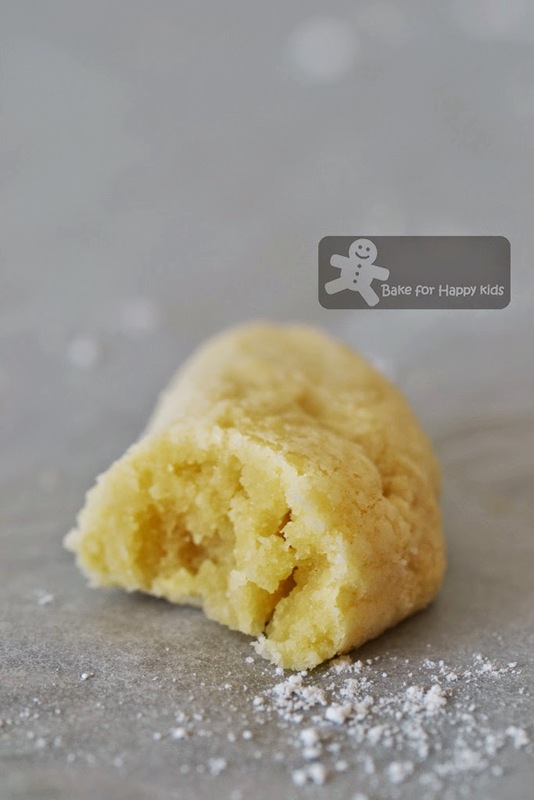 Using an electric mixer at low speed or a spoon, beat the butter and sugar until smooth. 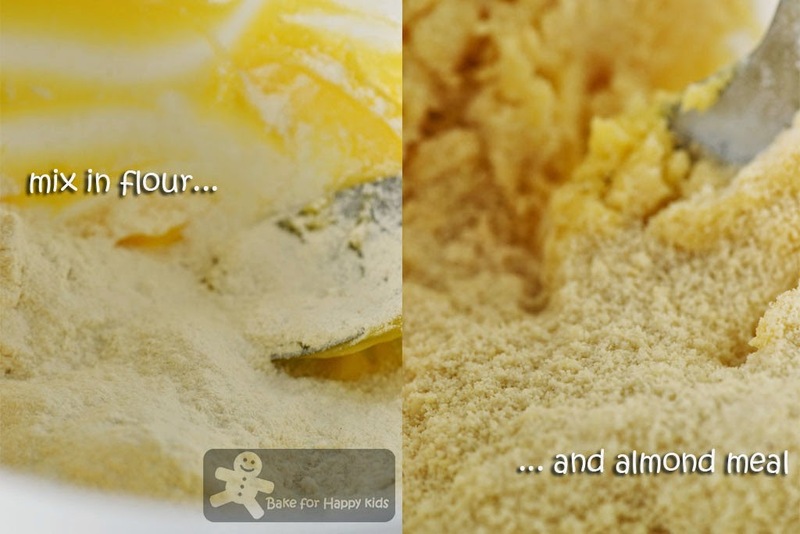 At low speed gradually or by hand, fold in flour and almond meal. 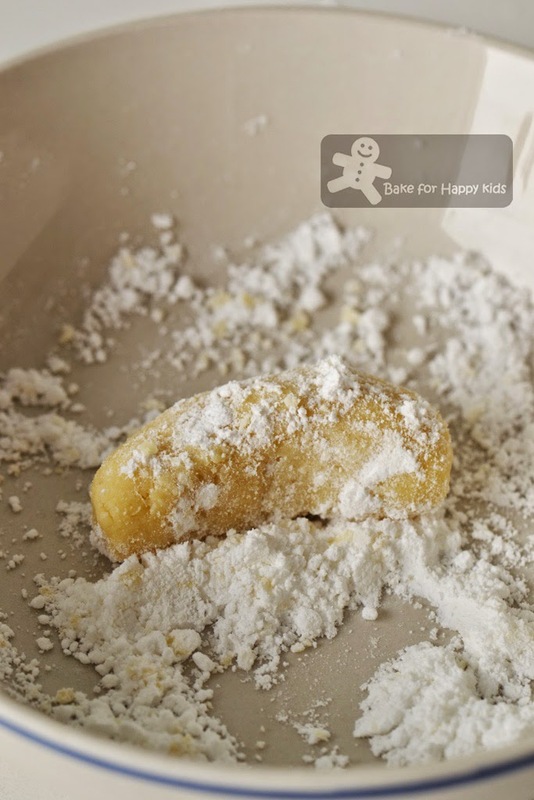 With floured hands, take out about tablespoonful of dough and shape it into crescent. Coat the cookies with extra icing sugar and place the cookies about 3 cm apart on the prepared baking tray. 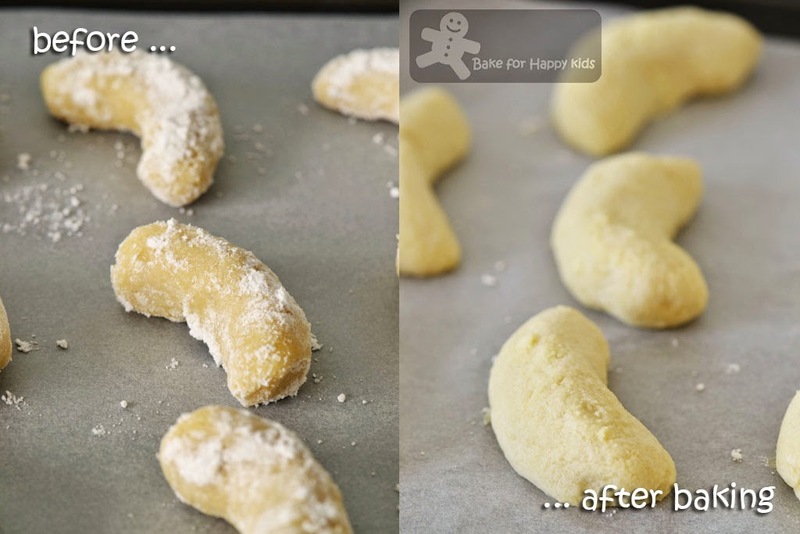 Continue to dust your hands with flour as you make more cookies. Bake for 40 mins. Dust with icing while still warm. Cool completely on wire racks and store in airtight containers. Sand tarts? I am attracted to the word and quickly scroll down to the finished picture.. Oohh, looks like "kai dan peang", but I know it tastes way much better and "heong" than "kai dan peang".. Ingredients are very simple, I have everything except the almond meal.. Yumyum, I can eat 5 sticks! At the look at it though it was called tart....its more to cookies. Tarts or cookies.....I know it will be gone into my mouth in no time. To me, all food taste good with almond meal in it. Zoe, this is very unusual! A cookie baked for 40 minutes. I am curious and maybe I will bake these too! 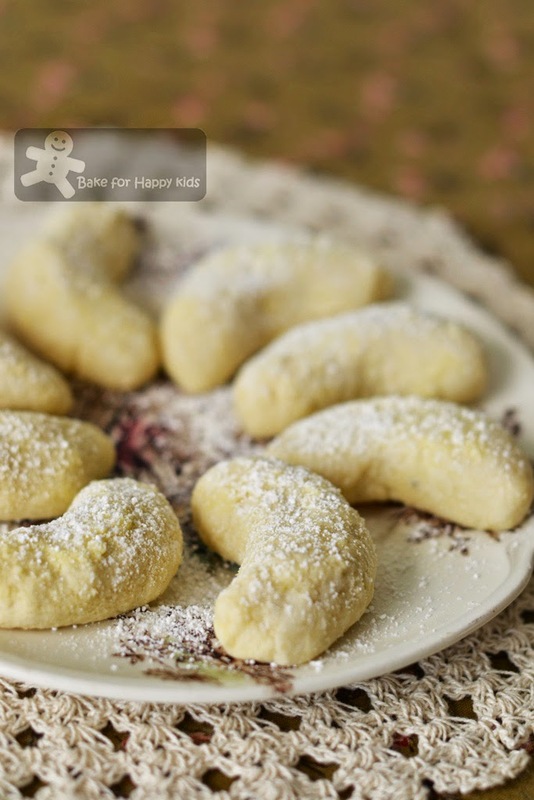 Zoe, these Grandma Paul's Sand Tarts remind me so much of the almond crescent cookies that are also coated with icing sugar! I can imagine how tasty they were, esp with the use of almond meal! Super awesome! These are one of my favorite types of treats around chinese new year! It's not very difficult to make! I totally love how crumbly and yummy they look, thanks for sharing the recipe! Oh my... they melt in the mouth right? Must be really delicious! Hi Zoe, this is something new to me. Looks yummy, crunchy soft. I seldom bake tarts cos' I know there is butter in it. Zoe, these sand tarts look new to me, and the way u described, seem irresistible too lol. These cookies look really yummy! I like your description of it melting into your mouth with sweet milky taste and soft nutty texture...tempting me to have a bite! Hi Zoe, these sand tarts must be really good ... sandy texture yet melt in the mouth ... yummy! Grandma recipes are the best! And these certainly look delish. Terrific stuff -- thanks. My grandmother couldn't cook or bake, or knit or sew! Hi Zoe, these are really cute and looks really irresistible! I have seen this recipe at her website and thought it sounds nice, and now I know it really is good! This is the kind of snack that I would love to have with a cup of warm tea! Hi, Zoe, this sand tarts looks like banana to me! Hahaha!